Sophsterlicious • UK Blog: Photo-a-Day ~ Day Four! 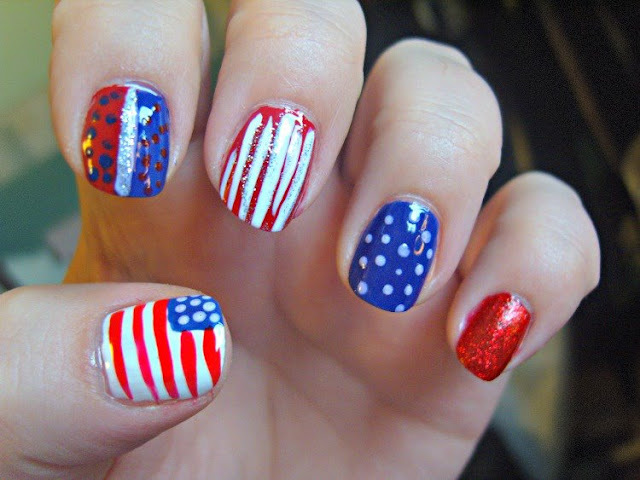 ~ Happy 4th July! This image is actually from last 4th July. I remember I was feeling a little artistic and spent ages doing this cute ail art. This year.. my nails are unpainted! Lame! Anyway, happy Independence Day to all of my American readers, I wish you all a happy, safe day! I have an online friend who is American and it'd be so cool to be able to be in the US to celebrate something cool! Maybe one day.. I need to own a passport first! What are you up to today. US or non US? !